On Thursday 16 October, Scandic and acclaimed chef Jamie Oliver will be opening the Nordic region’s first Jamie’s Italian at Scandic Anglais in Stockholm. With its 195 seats and large bar, the restaurant will be serving up great value, simple, rustic Italian food using local and organic produce combined with fresh pasta made on the premises daily. 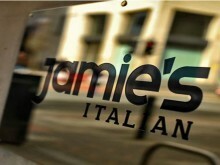 Next week the first Jamie’s Italian in the Nordic countries will open at Scandic Anglais in Stockholm. Back in January intense training began for the concept manager at Jamie’s Italian, closely followed by key staff in the Swedish kitchen and restaurant team, all of whom underwent a thorough programme of training at Jamie Oliver’s own restaurants in the UK. Jamie Oliver and Scandic Hotels are proud to announce the opening of the first Jamie’s Italian restaurant in the Nordic region. 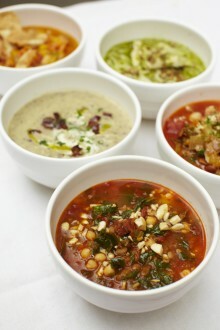 Scandic Hotels will be the exclusive operating partner of Jamie’s Italian in the region and the first restaurant is due to open in autumn 2014 in Stockholm.